Our goal is to connect people with the best local experts. We scored carpet cleaners on more than 25 variables across five categories, and analysed the results to give you a hand-picked list of the best carpet cleaners in Columbia, MD. CLEAN Choice Cleaning & Restoration provide careful carpet cleaning services to the Baltimore, Annapolis, and Columbia, Maryland areas. They have over two decades of experience and have cleaned thousands of residential and commercial spaces for renters, homeowners, and realtors. Their services include carpet & and upholstery cleaning, odor and allergen removal, and cleaning for various other services. They have an eco-friendly promise to leave zero soap residue and to be detergent-free. They are so proud of their services they offer customer's a 100% satisfaction guarantee or their money back. CLEAN Choice Cleaning & Restoration hold certifications from IICRC and CRI-SOA, are eco-friendly certified and have an A+ rating with the Better Business Bureau. Maryland Carpets is an eco-friendly carpet and upholstery cleaning company serving residential and commercial customers throughout Baltimore and the surrounding areas. Their highly trained and friendly technicians go the extra mile to make the process as easy and pleasant as possible. They use advanced equipment and products to remove dirt, dander, allergens, stains, and odors without leaving behind any detergent residue. Their other services include area and oriental rug cleaning, tile and grout cleaning, mattress cleaning, mold and mildew removal, and more. Maryland Carpets provides a speedy response to water emergencies that limits the damage and expense, and they work with the insurance company to file the customer's claims. MRD Cleaning Solutions is a dependable building maintenance provider in Columbia that serves Howard County and other communities in the Baltimore metro. The company has been part of Central Maryland’s industry for years, and it continues to grow through referrals and repeat business. The owner is a United States Navy veteran, who holds a degree in information technology, and he leads his team in delivering affordable, exceptional services to clients from the private and public sectors. The crew follows a strict safety and cleanliness and protocol for residential, commercial, and government environments, and it comprises trained, experienced, background-checked, and well-equipped technicians. MRD Cleaning Solutions offers one-time and regular options, and it works with home and business owners, property managers, premises supervisors, real estate agents, and construction firms. Owings Mill, Maryland-based SKV Service is a professional carpet cleaning firm that serves residential and commercial clients using modern tools adapted to local conditions. SKV Service's offerings include upholstery cleaning, tile and grout care, air duct cleaning, power washing, and more. The company uses truck-mounted or portable equipment for carpet, tile, and upholstery cleaning, and heavy-duty vacuum equipment and green cleaning products for air duct and vent cleaning. SKV Service also offers free full-system inspections, furnace or mold inspections, and odor neutralizers. Returning patrons are furnished with a discount within nine months of service, and teachers and members of the military receive a discount with the proper ID. Sparkletime Cleaning Services is a provider of building maintenance in Columbia that offers quality work at affordable prices. The company works in residential and commercial environments, such as single-family dwellings, studio apartments, restaurants, schools, banks, and grocery stores, and it takes pride in its competent team, state-of-the-art machines, and non-toxic solutions. The establishment aims for spotless indoors and outdoors, and some of the tasks are housekeeping, carpet vacuuming, and upholstery restoration. Sparkletime Cleaning Services has one-time and scheduled maintenance options, and it can accommodate same-day bookings for debris clearing at construction sites, move-outs, family gatherings, corporate functions, and community events. The crew operates seven days a week, and it covers most neighborhoods in Greater Baltimore. The staff does not charge for the custom quote. The OCD Company is a family owned and operated business specializing in carpet, upholstery, and tile and grout cleaning. They serve residential and commercial customers throughout Pikesville and the surrounding areas. The OCD in their name stands for on time, clean, and dependable, and they back all their work with a 100% satisfaction guarantee. 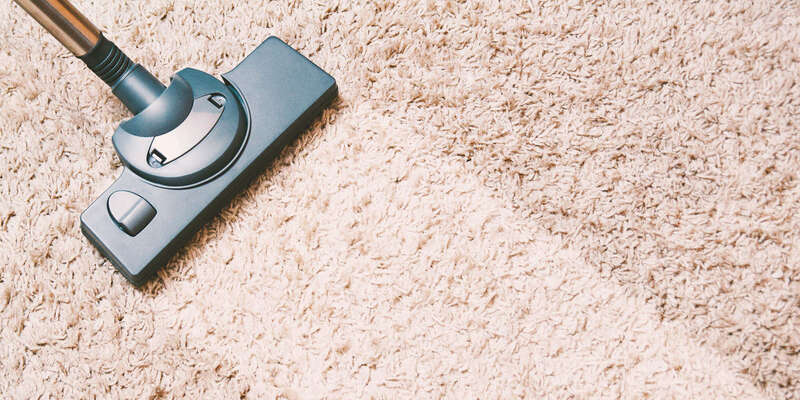 Their hot water extraction method of carpet cleaning removes dirt, grime, and allergens from deep within the carpet fibers, and they use natural cleaning agents that are safe for children and pets. In addition to cleaning tile and grout, upholstery, and area rugs, The OCD Company provides pressure washing for driveways, sidewalks, patios, and other outdoor surfaces.